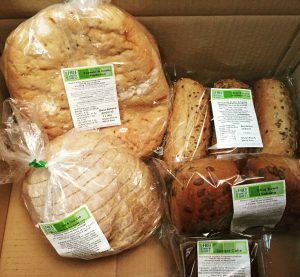 Wheat Free Bakery is an online shop where you can order a superb range of gluten free food direct from a West Lothian bakery. This is available all over the country, not just in Edinburgh. Though you can pick up food from WFBD in great places like GF Edinburgh on Dalry Road, Sugar Daddy’s on Rodney Street and the Hopetoun Farm Shop.